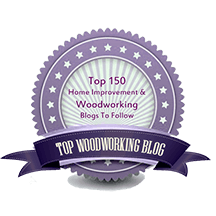 It can often be read or heard in discussion among woodworkers that the construction of a project having been completed, it is time to decide on a finish. Yet therein lies the problem: that is not the time to decide on a finish! Just as careful selections of wood species and specific boards are critical to creating quality woodwork, so is the finish placed on that wood. Because the character of wood is altered with a finish, it is a design choice that should be integrated into the entirety of the piece. Furthermore, harmony among species and figures can be enhanced or devastated with the choice of finish. The tenor of a piece should be thought through and envisioned early on, and though it may be altered a bit as realizations come forth during building, one must maintain a solid sense of the essence of what one is trying to create. The finish should not be a surprise or a disappointment, but rather a crowning touch that is unified with the whole – a “finish” to what was begun. As a practical matter, the construction process is often altered depending on the finish that is planned. For example, a padded shellac finish can go a lot easier when some of the components are finished before assembly, thus avoiding inside corners and narrow crevices. Also, the anticipated finish will be a key factor in the final surfacing of the wood, such as whether to hand plane or to sand to a certain grit. This in turn will alter how flatness and trueness of components are managed as construction proceeds. Decisions will vary significantly if, for example, one is choosing a pigment stain covered with varnish versus a plain oil finish. In all of this, there is an inviolable rule in finishing: test first. Save some cutoffs to test, compare, and coordinate finishes. Ignore this rule at your own peril. In an upcoming post, I’ll present some photo examples. By the way, though there are many excellent books and articles on finishing, my favorites are those by Bob Flexner. I think his book Understanding Wood Finishing is not only one of the best books in the woodworking field, but one of the most lucid books I’ve read on any subject. His magazine articles are wonderfully concise and informative. I made a small box with three different vg fir boards to store sandpaper in my shop. I had to laugh when I put linseed oil on it – it looked like a zebra. What finishe do you use more often? Do you some time uses on wax? Believe me, I understand, because I didn’t formulate that rule from theory! I’d like to go into that more in a future post. In general, I like gel varnish a lot (Bartley’s clear satin). I use General HP waterbase satin when I want to avoid a color change or oiled look, such as for ash, cedar, spalted maple. 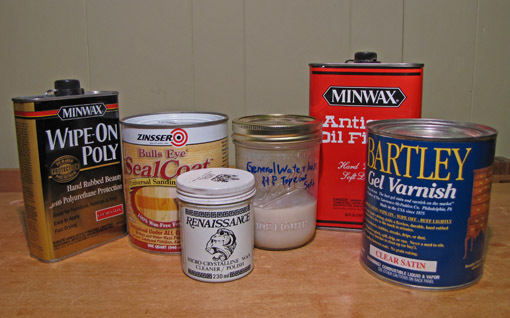 I like shellac (flake or Zinsser’s dewaxed blonde = “Sealcoat”) diluted to about a one pound cut, with wax over it, for certain pieces and woods. Sometimes I like an oil-varnish mix. It really depends on what I’m trying to achieve for a given wood in a given piece. I virtually never use stains or dyes, except for black accents or applied beading. Those are just my preferences. Explore, experiment, and appreciate to find yours. 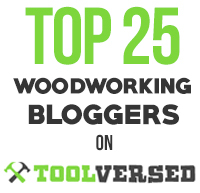 Happy woodworking and thanks for reading.